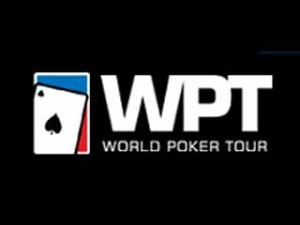 As is the tradition at the World Poker Tour (WPT), it makes its way to several continents with a view to service all poker fans around the world. In a few days, the WPT Legends of Poker will open the 13th season of the World Poker Tour at the Bicycle Casino. Most of the WPT events are taking place in the United States but Europe is still in the spotlight with two regional stops in Cyprus and London. Unlike last year, Europe will no longer host more but two stages of the WPT Regional events. Paris and Prague have been excluded from the schedule due to a significant decline in attendance. May we remind you that WPT Prague only attracted 306 players while three days earlier the EPT poker tournament had seduced more than 1,000 poker fans. As for France, the figure is far from being encouraging: it dropped down from 312 players in 2011 to 187 in 2013. The WPT Merit Classic North Cyprus will run from September 5 to 10 at Merit Crystal Cove Hotel & Casino while the WPT London will be held from November 11 to 23 in the prestigious poker room of Dusk Till Dawn, Nottingham. Additionally, all poker fans, both amateur and professional players are invited to participate in the WPT National during the second half of this year. Various stops in different European countries are scheduled for this particular poker festival, including one in the Netherlands (WPT National Valkenburg, October 1 to 5), in Spain (WPT National Barcelona, October 16 to 19), Austria (WPT National Vienna, October 21 to 25), Belgium (WPT National Brussels, October 24 to 27), Italy (WPT National Venice, October 29 to November 3), Malta (WPT Malta DeepStacks, November 7 to 10), in the UK (the WPT500, November 11 to 16, WPT UK, November 18 to 23) and in France (WPT National Paris, December 4 to 7).